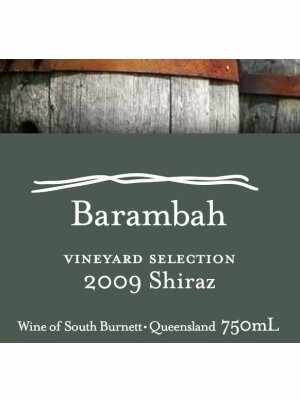 Selected from outstanding small parcels of local fruit from both the Barambah and surrounding vineyards, the blend is South Burnett Shiraz (100%). Robust red-violet in colour, the wine displays rich berryfruit and licorice nose, concentrated fruit flavours and firm tannins from French hogshead oak. Ready for enjoyment or medium term cellaring, 2013-2015, if desired.